It's the beginning of the 2013/14 NHL season coming up, and the beloved Edmonton Oilers fans are starting to get giddy. Lots of speculation and opinions having been flying around for some time. The latest story is the possibility of Sam Gagner as the next Oilers captain. If you've followed me, you'll know I was and am a huge Gagner supporter. I think he'd make a fantastic captain and he would be a good mediator between the different age groups. So if Sam Gagner is the next Oilers captain, I support that decision. One scenario I'd like to see played out this year? I'd love to see Ryan Smyth wear the C for this last kick at the can. Captain Canada should have a C on his jersey before he retired. This is that chance. Another story has been who replaces Ryan Nugent-Hopkins if he's not ready to return at the start of the season. Some speculation has Taylor Hall moving to center. That's easily doable for the fact that now with the addition of Linus Omark into the fold, the Oilers can still have the top 6 filled with goal scorers. Doesn't matter if it's Hemsky or Omark, the Oilers can fill the void. I've also heard the possibility of Marc Arcobello will fill the void left by the RNH injury. He has experience playing with Eberle and Hall and that could be the way the Oilers start their season. Although, what kind of message does that send to a player? Right now, good enough to play on the first line, but the minute RNH comes back, back to the OKC Barons for Arcobello. I wouldn't want to have to make that decision. Will the Oilers have three scoring lines? I'd hope not, but it's looking more and more like that's going to happen. It's very possible that we will see a Omark/Gordon/Hemsky line. I just can't imagine a 3rd line as a checking line with Ales Hemsky and Linus Omark on it. Can you? Of course a top discussion was, will Oscar Klefbom make the team straight out of training camp? The Oilers are very high on him and it's very possible he's a final candidate for the 6th and 7th spot. I'd personally, if he's not quite there, send him down to OKC and let him play big minutes and develop his skill. That decision never hurts the player. The YoungStars tournament starts in a couple days. I'm excited to see these kids and see what they can do. Lots of new faces and I'm hoping the Oilers show them via webcast like the previous years. Should be fun to watch. Been getting some questions flying my way today on a possible Buffalo trade rumour in light of speculation they are in discussions with a couple teams and one being the Edmonton Oilers. Let's be straight up, I have not heard Grigorenko's name used at all, only who could it be the Oilers could trade for and what do they give up. So since everyone is speculating let's have some fun and look at some possibilities. 1. Ryan Miller? While it is always possible, unless Dubynk is going to Buffalo I do not see this happening. We can't have 3 Goaltenders here and Miller has a high cap this year and we are running out of space. The only possibility if MacT was interested would be a trade something like Ales Hemsky, Martin Marincin and Dubynk for Ryan Miller. The trade off would be 8.5 M in NHL salary to Buffalo and 7M in NHL salary to Edmonton. Marincin is the price to to pay to unload the salary and get a more established goalie. * For those doubters of Miller, he is still a top 10 Goalie in this league IMO but do not think he would want to come to Edmonton with his NMC. 2. Thomas Vanek? After Edmonton pushed up his value on the RFA Market, he is now being made available in their rebuild. A awesome player but not sure the Oilers can afford this player without sending some cash away. Again any possible trade means money out and that requires a team adding something extra to help compensate. 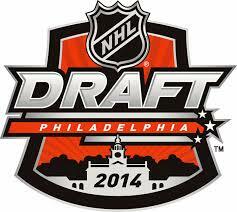 Possibility could be Hemsky, Jones, a prospect like Marincin or even Gernat along with a 2nd rd pick in 2014. Not likely to happen for a 1 year contract but again does it matter if the oilers can afford even 1 year and give up little? 3. 3rd or 4th line player? Take your pick but I highly doubt the Sabres are interested in a player like Hemsky for a single year at his price tag. Unless they are shedding salary for salary, it is highly unlikely. 4. Grigorenko? This could be a interesting twist. The Oilers liked what they saw in Grigorenko when he came to town to visit before the draft, the scouts liked him but Nail and Ryan were no brainers when it came to 1st OV picks. But with so much talent coming up the ranks in Buffalo, they could afford to unload him for the right price. Buffalo was not pleased with his progress last year offensively but are we not talking about the same coach Ruff who many Oiler fans feel mishandled Hall at the World Championships? This trade makes sense from many view points? But to make this a fair trade what would Edmonton need to give up. Remember Buffalo is rebuilding and earlier in their stages. Maybe Lander, Marincin and a 3rd round 2014 draft pick? Is that over payment or under payment? This is ALL speculation but should these 2 GM's talk trade, it would make for some very interesting news. 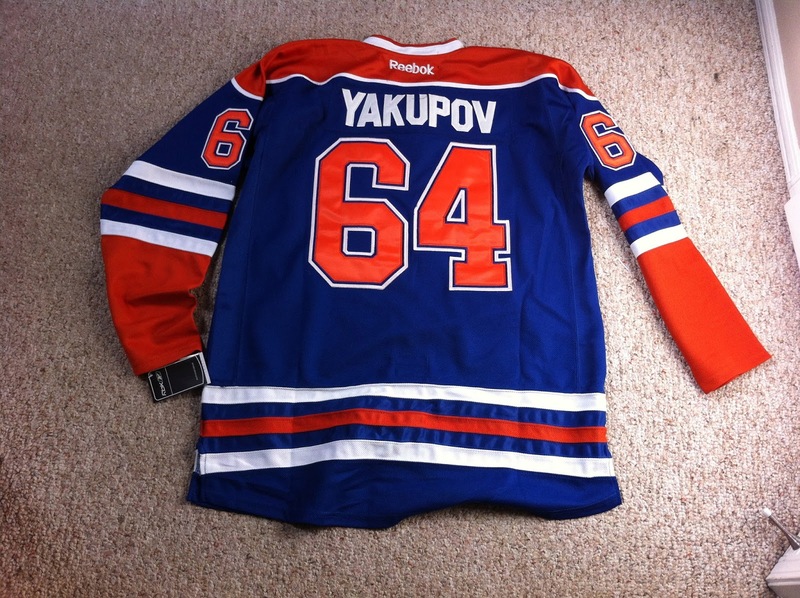 YAKCITY - "Nail Yakupov ready to step it up?" Nail Yakupov has always been a enigmatic personality in and out of the dressing room and on the ice. What makes this young up and coming star player so good is not just the skill set, it's the drive to be the best or as some say, the drive to always be improving. I had predicted on twitter and believe on a blog as well the PPG production Nail would likely produce both in the KHL and in the NHL. I had estimated Yakupov could produce .65 PPG in the KHL which he fared even better and in the NHL I said I believed he would produce around the .57 PPG. I had people saying I was out to lunch and no way this player had the skills yet or the size to produce like that at the NHL level. He covered both bets for me and this year it is likely we could see him more around the .80 PPG mark by the end of the NHL season of 2013-2014. When looking at his Jr career and comparing him at that stage , let's look how he compares to a few other notable stars. As we can see with Stamkos, it was his second season when his numbers began to soar. With a solid understanding of the game now and a larger sturdier frame he was better able to translate his jr career to the NHL level. John was one of the most incredible point producing jrs in the last couple decades. Very few reach his peak yet his game did not translate in his first year and even his second as you can see was somewhat reasonable. Let's look at 2 more comparable players he currently plays with. Taylor had a tremendous jr career but also while faring well in the NHL still took time to adjust to the style and speed of the game. His second year saw a increase in production like most stars do. Ryan IMO would have fared much better if not nursing a injury all season long. He fought through but likely his second NHL season was one that will not be seen again. As you can see when comparing seasons to some other great players Nail is right on course and to under estimate his production this season would be to under value him as a player. The following is a quick look at the comparison's of jr career hockey to 1st seasons in the NHL. In looking at the PPG totals here in CHL hockey it's very clear Yakupov is on par with these players that many consider to be great. It should also be considered that both Yakupov and Stamkos did not play on a loaded team in their final year yet still produced well. In observing the 1st year stats of PPG in these same players career's it can not be denied that Yakupov while playing only a shortened season produced equal to his earlier comrades in the NHL and shows very well against extremely high competition. Looking at how Nail has compared well in at the same growth curve in his career, I believe it is reasonable to say he likely will be comparable in his 2nd NHL season as well. While Stamkos hit it out of the park on his second season RNH struggled a little. Despite that, when comparing, it definitely gives a good case of optimism for Oilers fans alike this coming season. In a surprising twist, the Edmonton Oilers have signed Linus Omark to a one year deal. Omark, if he makes the team, will slot in on the third line with Boyd Gordon and Ales Hemsky. If not, he's on a two way contract and will play with the OKC Barons. YAKCITY - "Yakupov's Rise in Edmonton"
Thanks to OilersNation, a contest was run and incredible good photo shopping work was done last season to represent Nail Yakupov. They were all good but one that stood out was 'Yak City'. It did bring me to the question, 'how good is Nail Yakupov?' 'How high is his ceiling?' 'Can he improve on his defensive game any more without sacrificing his offensive output?' 'Is this guy a long term Oiler like many believe Hall is, or does he get traded in the next couple seasons for a key player to put this team over the top?' 'Can he he co-exist , sharing the stardom with the Oilers other elite players?' All these are valid questions and for right now, only guesses. Like the previous 2 #1 selections before him in Taylor Hall and Ryan Nugent-Hopkins, people flooded the calls for Oilers jerseys to get their hands on a Nail Yakupov #64. I was no exception and the Nail Yakupov watch began in 'Oil Country'. The biggest debate was 'What position would he play? RW or LW where the need was?' NOTE: Nail Yakupov has tweeted he will remain with the #64 number rather then take #10 with Horcoff gone. Nail Yakupov is a dedicated, hard working player who has put submerged himself into our community with family support and aims to be the best player he can possibly be. No one can say Nail is shy and or non-fan friendly. Between his twitter account, his public appearances and easy access to get pictures, Yakupov has shown his followers he wants to give back and will make every effort to enjoy the life he has been afforded. Give Nail a tweet on twitter and if it is intriguing to him, maybe you will get a reply. He is like a rock star in Edmonton and back in Russia as well. He likes the attention and it doesn't seem to be slowing down anytime soon. Nail is about to get started again here in Edmonton on his early season skating and drills with the other Oiler boys. He's easy to get along with, is a great personality, loves our city and the team, wants to be a star and most importantly to Oiler fans....He just wants to 'score goals'! Maybe if your lucky and fortunate, you will find Nail at a local Starbucks near you. Hoping to see him there? Where can you catch a glimpse of Nail drinking a latte? Maybe spend some time in some Edmonton SW Starbucks and you will see him come through. All I can say is, it is so refreshing to have a personality on the Oilers who likes to talk, likes to interact with the fans and does not come over as rehearsed in what he says. Next blog let's discuss more on the questions mentioned at the beginning of this post today. We will examine expectations, talk about predictions and discuss his game and where his future is headed. Chances are pretty good, according to early reports. 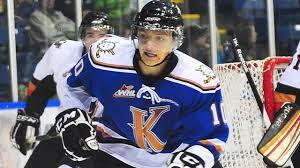 Sam Reinhart, a center with the Kootenay Ice of the Western Hockey League, will make an impact prior to the 2014 NHL Draft, which will be held June 27-28 at Wells Fargo Center in Philadelphia. At 6-foot-1, 186-pound and a right-shot forward he is heads and tails IMO right where he belongs in the #1 slot. "He has a complete game at both ends of the ice," Central Scouting says. "He does everything well. He won't get you overly excited, but from a coaching perspective, he's the guy you always want on the ice in critical situations. He's your go-to guy and team leader and is just going to be consistent at the junior level, and eventually the pro level. "Reinhart, who considers his hockey sense his best attribute, led the Ice last season with 85 points as a 16 year old. 17 years old now and ready to be drafted at year end, Sam will need to continue the growing curve but nothing appears able to stop this young man, except himself. Sam Reinhart won the WHL rookie of the year, was captain of Canada's team that won the gold medal at the 2012 Ivan Hlinka Memorial Tournament last summer, he wore the "C" for Canada's entry at the 2013 IIHF World Under-18 championship that won gold. At the U-18s in Sochi, Russia, in April, Reinhart had 3 goals, 7 points and a plus-7 rating playing mostly with Morgan Klimchuk and 2015 draft-eligible Connor McDavid. His achievements seem to follow him regardless of where he goes. This guy is the real thing. This list occurs anywhere from 1-2 months in advance of the actual playing season and a final list I put out just before draft time. It can be a real difficult challenge evaluating and ranking players so early but it is a enjoyable thing to watch as the season progresses right through to the draft day selections. I have the early september ranking I produced with the actual players selected in their positions to their right side. While not perfect these past two years the top 15 still has produced well. The exact draft order can be difficult due to a team's preference. Some players as you can see fall off the map or come on late. The following is my early ranking this year for the 2014 Draft class. I will be starting a write up on all the 15 players very soon. This years class may not be a deep top end talent as last year but they all will hold their own in the top 20. There has been lots of talk about Edmonton's bottom 6, but as it currently sits with Hemsky still in the mix, I don't quite see it as bad as others might. When you look further around the league most good teams spend very little on those bottom 6 and too much IMO is made of the bottom 6. It has been mentioned our bottom 6 was the scoring problem last year. I agree, they lacked scoring ability last year but our second line struggled as well. I do feel strongly that Perron will make a huge impact on that 2nd line with puck possession ability and relentless forechecking. Taking a look here at the Oilers VS others teams bottom 6, I feel much better about our ability to produce this year. This list could go on but very few teams actually have a incredible bottom 6 forward core. Nothing earth shattering here but nonetheless maybe its time to relax on picking apart our bottom 6 forwards and focus in on other others for growth and improvement. IMO, Edmonton has always been more focused on bottom 6 forwards then most teams fans in this league. Just a thought to ponder through a real slow summer.